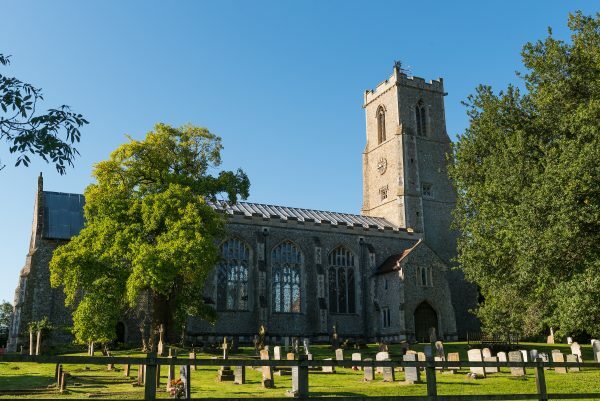 If the Norfolk Broads can be described as having a spiritual heart, then the village of Ranworth is surely it. 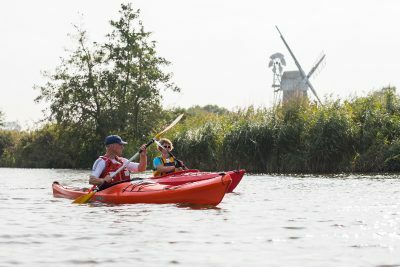 With its imposing church looking down on the village from the hill, known as the ‘Cathedral of the Broads’, the village showcases the true essence of the area from a variety of viewpoints. 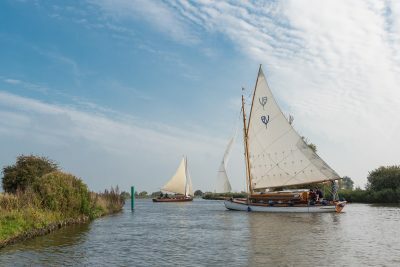 Our suggestions will take you around this lovely village on foot, including the church and its many delights; the floating visitor centre managed by the Norfolk Wildlife Trust; a short ferry ride back to the staithe; lunch at a local pub; followed by an afternoon visit to Fairhaven Garden Trust, a unique, sustainably managed Broadland garden, with its own tearoom. 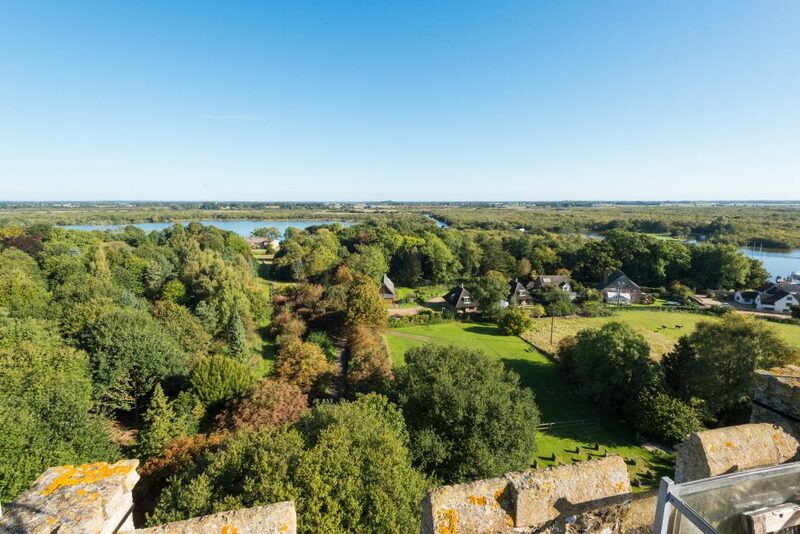 Ranworth Church Tower has 89 spiral stone steps, 2 ladders through the bell tower and 1 trap-door onto the church roof, but the views are magnificent and worth the effort! 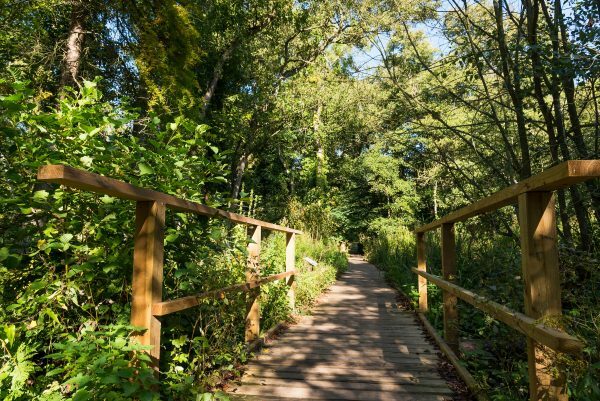 The boardwalk at Ranworth is open all year and is suitable for disabled access, while the Visitor Centre opens April to October from 10am to 5pm. Dogs are not allowed in the Visitor Centre. 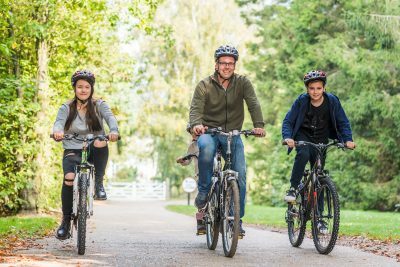 Fairhaven Garden, including the café/tearoom, is open all year (except Christmas Day) and most of the garden is accessible to visitors in wheelchairs. Dogs are welcome on a lead. 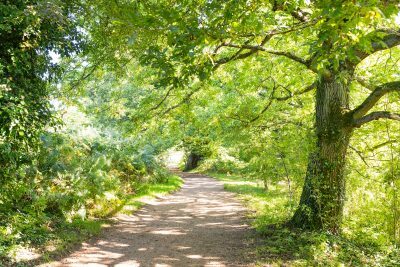 There are public lavatories located at Ranworth Broad, and customer toilets at Ranworth church tearooms, the Ship Inn, and Fairhaven Gardens. 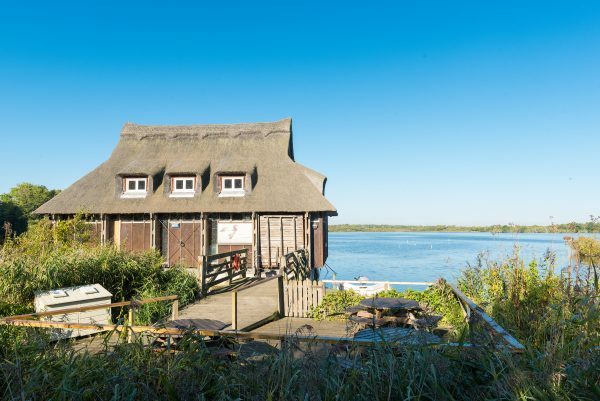 There are no toilet facilities at Ranworth Broad Visitor Centre. • The church is home to the most complete and best preserved painted screen in Britain, together with a beautifully illuminated antiphoner, or service book, dating from the fifteenth century. 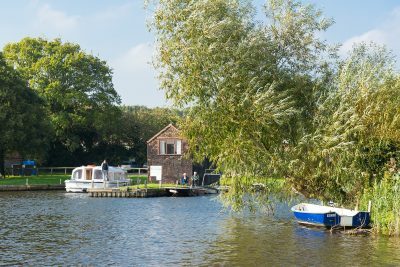 • Although not for everyone, your visit may be enhanced by climbing the famous tower, which provides panoramic views of Broadland. 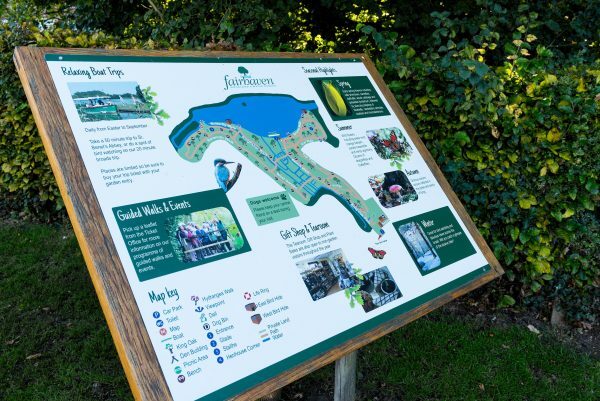 • Feeling refreshed after lunch, spend a pleasant afternoon exploring Fairhaven Gardens, located just off the road heading back towards Acle (turn right out of the pub car park, and take the first left turning). • Organic and sustainably tended using traditional gardening and woodland management techniques, there are over 3 miles of wonderful woodland walks, a children’s nature trail, and with the waterways of the Norfolk Broads never far away, superb views across the private Fairhaven Broad. Boat trips run from April to October. 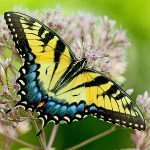 papilio machaon britannicus - completely dependant on one plant, milk parsley, I can be seen in late May, June and July at Ranworth. Perhaps the most elegant of British butterflies, they are completely dependant on the one plant, milk parsley. A relic of the last ice age, surviving only on isolated ice-free pockets of Broadland as conditions deteriorated after a warm period.